So I am going to be the first pot to call the kettle black. I’m doing a year-end summary. Of course its reasonable on the turning over of a calendar year to reflect on the year past. I could have pulled out the slick WordPress.com stats report (130,000 visits, something like a few days at the Louvre). I could count 258 blog posts on this space alone, and I could sift through it for key memories. Instead I reached for a silly pun of a musical metaphor, which usually means a 45 minute dive into Photoshop. Remix of Al Stewart’s “Year of the Cat” done w/o any kind of permission, only done for my own amusement. Sue me. Never thought it would go far. It’s not for the SPLOTs themself, but more how the work around it did some kind of rhizomish spreading and connecting in un-expected ways. About a year after rolling out the first version of the TRU Writer a fork of it’s most current one is being used as a publishing platform for participants in the UDG Agora Project… the efforts and development of the tool has not only borne out powerful uses by Faculty at TRU and now elsewhere, but itself propelled me into a year long project, and likely is something I am riding into 2016 on a yet to be revealed major project. I may not have spit beer when Brian mentioned it at the Fox and Hound in late October 2014 on my first week in Kamloops BC for a Fellowship in Open Learning at TRU (okay, to tell the story of 2015 requires some dips into 2014). And this became our thing- it did not even matter to us what the acronym stood for, this itself inspiring me to find and modify a jQuery library to put the randomized permutations at the top of the site. Of course the first thing we did was to register a domain. Where am I going with all this backstory? I will reel it in, and fortunately for me, I have a pretty good record of what happened with SPLOT from the posts in my portfolio (27 of ’em). Brian and I have gotten positive receptions on presenting our hatchling at a live webcast session Open Education Week, at the 2015 Open Ed conference, to name the few I remember. The question I maybe expected more of (and probably just did not listen well) is “what makes a SPLOT a SPLOT”? If the question came up I probably would not answer coherently, because I do not think a defining fence matters. For the ones developed at TRU, the goal was creating small(ish) focused single purposed web publishing tools that (a) did not demand its users learn the intricacies of a web-publishing platform (b) were be default anonymous, not requiring creating of accounts or using any kind of identifying information unless the author/creator chose to do so. I did throw in my work on making the new version of the DS106 Daily Create as a wordpress theme as a SPLOT. And there is absolutely no reason why SPLOTs need to be powered by WordPress, I can at the same time see some being perhaps jQuery / github hosted things, or any other platform. So I plan to stand clear of trying to define what SPLOTs are. The thing that does ring the most true to me that its making some kind of assertion of individual choice and design in their tools, not being limited to the ones provided by commercial (or free) entities. For much of that happens in ed-tech, we seem to have to make our needs, desires fit someone else’s packaging, like trying to wear someone else’s shoes. Even if it cause no disturbances in anyone’s hype cycle, heck it feels good just to sing this out loud. I see people in our field wanting to have “massive” reach and generate broad change in education. I salute you. But I mostly just want to play loud guitar in my bedroom. So I would never say the SPLOTs are going to revolutionize education or provide a broad structure for deployment. If any part of the acronym matters to me it’s the first “S” (Small or Simple). Again, it’s not about the SPLOTs themselves, but a head-banging attitude toward making what we want rather than dealing with what someone gives us. So if asked “What is a SPLOT?” I’d rather you tell me (even if your first “S” stands for “Stupid”). But yes, the arc of SPLOTs. Along with working on them at TRU in January-February of 2015, Brian and I were running a sort of professional development version of ds106 we called The You Show, and the Daily Blank as well as the Image Collector and the Audio Collector were put to use. Yet it was in the middle of this that we invited Tannis Morgan out to visit us at share her work in WordPress at the JIBC. That visit, where we probably babbled on about SPLOTs jumped a shark and got Brian and I involved in the UDG Agora Project, likely the best, biggest, project I’ve worked on in a while. And so at a planning meeting in April in Guadalajara, in planning the design Tannis had brought based on “studios”, I was setting up prototypes of the DS106 Assignment Bank theme which became (with a whole heap of improvements in making it do what we wanted for the Agora) the UDG Agora Challenge Bank. Also put into the mix was the Daily Blank (which became the UDG Agora Daily Try, and an image collector SPLOT). And as mentioned earlier, the Comparte site I set up to have faculty participants write up and share their work is a direct descendant of the TRU Writing SPLOT. I guess one could say, I see uses for my own tools in every project. Guilty. But they sure seem to have worked out well, and the putting them into broader use on the Agora project forced me to update and augment the tools themselves. Each time I have to do this, I am ratcheting up my own skills and tools and tricks which might feed future projects. And I am fairly sure the UDG Agora presentation at Open Ed and maybe the SPLOT one Brian and I did are a future tentacle into what should be my major project for more than a year starting in March (sorry secretive for now). I am not saying SPLOTs defined my year at all, but everything around them, the code tinkering, the blogging about them, seeing other people put them to uses I did not imagine, the opportunities that came from them pretty much seem to follow them as a thread. This of course does not overshadow a year of incredible chances to travel (a long driving journey home from BC, side trip to Hawaii, a TEDx in Puerto Rico, Denver for a keynote, the three visits to, Mexico, Richmond for a bike race and bronchitis, heck even Indianapolis). By recent calculations, I was away two thirds of the year. I’m not complaining about that at all, but am seeing something new for 2016 with maybe a flip of that travel percentage. There’s too many people to single out for having spent time with them this year, and I just have to give one shout out for my amigo Brian Lamb, whom I have worked with and been strong friends since like 2003. The first third of the year was the TRU Fellowship he helped arrange, we co-presented multiple times this year, played music together in Breaking Band, fomented a faked argument in Twitter, worked intensively together on the UDG Agora project (along with sampling street tacos and palomas), and spent the last week of the year relaxing on a beach in Mexico. We toasted our opportunities this year, and realized we had nothing booked for any work together 2016. 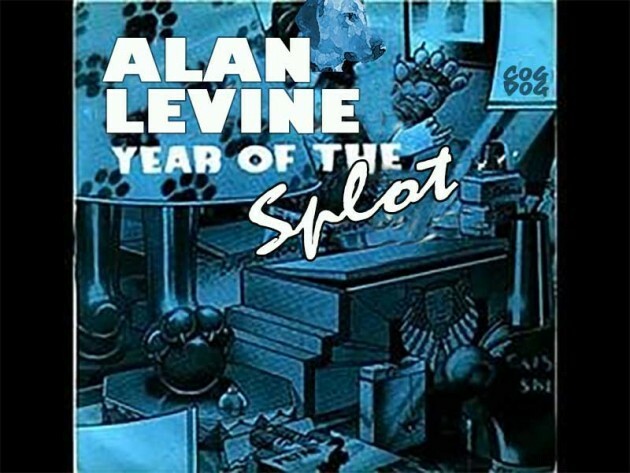 So thanks 2015, for the Year of the SPLOT. I’ve really loved following your splotting through the year. It is very inspiring stuff. The idea of simple single tools, built or repurposed by folk near the ground as opposed to tools from on high is exciting. Some are an interesting contrast to the compelling ‘own your own’ notion. I wonder if a way for some folk to track/collate/merge them together would be an avenue worth exploring. (The new WordPress oEmbed posts might be useful).